Homeowners, renters and others love to hang out in the backyard for barbecues, parties, and simply, well, hanging out. But when the backyard area is unkempt, overgrown, or worse - cluttered with old junk, garden tools and leftover building debris it's not so nice. Nor is it very safe. Part of the secret to an enjoyable outdoor space lies in the ability to have it cleaned and kept clear of unwanted junk and broken things. Even maintaining the lawn and the landscaping is difficult if you have to maneuver around piles of old boards, broken down lawnmowers, and mounds of old concrete rubble. Can You Enjoy Your Backyard Space? Most suburban homes have a backyard, some large, some not-so-much. And many have a patio, even if it's a small slab of concrete, and others might have a deck. If you live in the country, it's quite possible that your "backyard" is simply where the pasture or field meets the back of your house! Whatever size and whatever amenities it may or may not have, most folks want to spend some quality time in their backyard doing something other than mowing, pulling weeds or letting the dog (or cat) in. If your backyard is less than thrilling and has little to recommend it, don't despair. We've rounded up some ideas for spiffing it up and making it more fun. Outdoor lighting doesn't have to look cheap and frilly. When done right, hanging some decorative outdoor lighting in your backyard can add a fun style. Simple, quick, and relaxing, a hammock is an awesome way to enjoy your backyard for cheap. If you don't have the right tree setup for a hammock, you can purchase one that has a base, so you can place it anywhere in your yard. If you don't have one, or much of one, a patio is a must-have if you're going to spend a lot of time outside. It offers a dedicated space for entertaining guests and creates a place to put outdoor furniture. If you plan on entertaining, a cohesive set of outdoor furniture is a must-have. If you don't want to pay the price for new outdoor furnishings, hit up the flea markets and yard sales to find the perfect thrifty pieces. When the sun sets, nothing is better than an outdoor flick on a huge projector screen. Gather friends and family for a movie everyone can enjoy. An outdoor tumble mat gives the kids the perfect place to play and exercise in the backyard, while the parents can sit back on the nearby entertainment deck. Creating a backyard putting green is much cheaper than going out for mini golf. Plus, you can pick up the putter anytime you want. Other ideas include adding a classic horseshoe pit, a dedicated children's play area with a small playhouse, and the perennial favorite - a regulation size badminton set. 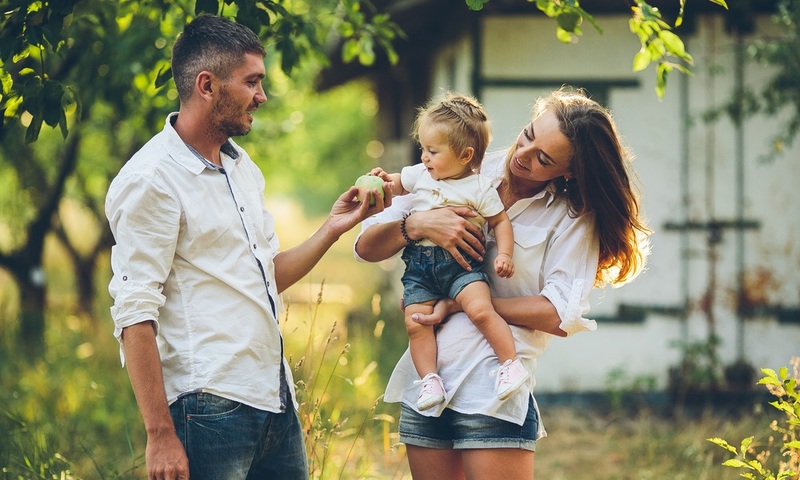 If you're idea of a fun day in the backyard, however, doesn't include kids there are still hundreds of things you can add or install to make yours a small get-away destination. Depending on how big your backyard improvement project is, you may create more waste than your green recycling bin can manage. Fortunately, you can recycle much of the organic waste into mulch and compost. And, while this can take care of some of your debris, what do you do with the rest? The worst thing you can do is to have piles of debris sitting around after sprucing up your backyard. Not only is it unsightly, it can be a potential hazard. The good news is that if you have more debris than you can get rid of yourself, or you don’t want to haul it out yourself, there is an affordable and easy option. Hiring a professional waste removal company to pick it up and haul it away is the best way to go. At Junk King we routinely haul almost all types of yard debris, including branches, clippings, stumps, soil and more. We specialize in removing and hauling all types of debris from residential landscaping and home improvement projects. Once you decide to outsource the trash and junk hauling part of your backyard project, you need to decide which firm is the right one for the job, which is easy since Junk King really is the firm of choice. 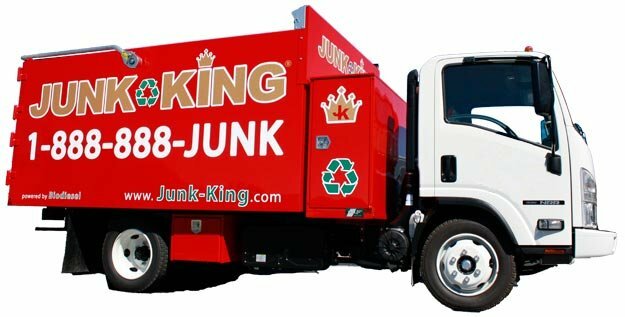 Junk King provides an efficient, safe and eco-friendly residential waste disposal service so you don’t need to worry about the pick up or disposal of the debris after your project is complete. Our experienced debris removal team will break down and haul off any types of yard waste you have. Our professional and insured yard waste removal team will show up at your home and we call 15 minutes before we arrive on site. Once there, we’ll give you a free estimate based on how much room your junk takes up in our truck. You simply point and we'll haul the debris away with no hidden fees. Ready to get rid of your yard waste? It’s as simple as 1, 2, 3. Make an appointment by booking online above or by calling 1.888.888.JUNK (5865).